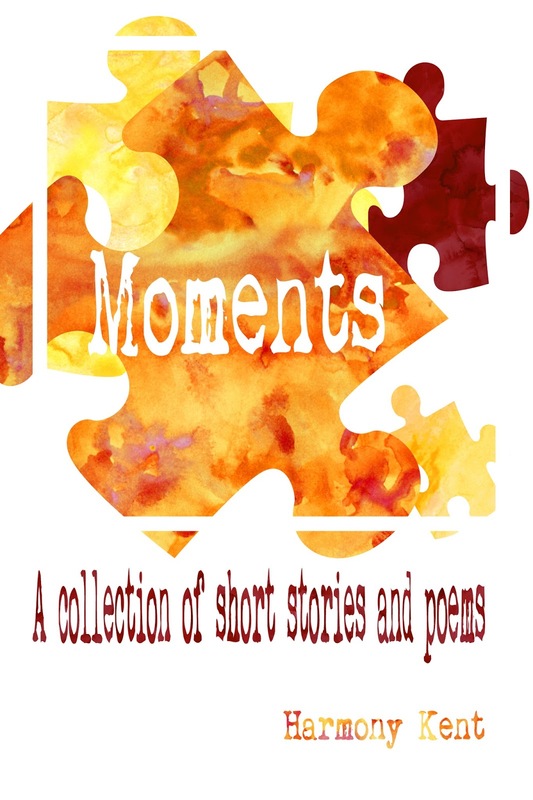 Goddess Fish Promotions has organized a Virtual Book Blast Tour for MOMENTS by Harmony Kent, a Short Stories/Poetry available now. The rain stung Isabelle’s split lip, or did the tears bear the brunt of that guilt? Actually, that claim settled on her stepfather’s shoulders. He’d gotten drunk again. The grit and stones that littered the concrete stabbed at her bare soles, and she winced with each step. That didn’t deter her from running, though. When she reached the park, where she veered off onto the cool, wet grass, Isabelle breathed a sigh of relief. To savour the moment, she stood still and let her feet sink into the soothing blades of green, face turned up to the grey sky. The thunderous clouds mirrored those in her heart and mind. If you killed someone at fourteen, did you still go to prison? A shout in the distance had her jump and run. Not far now. They never found her under there. Beneath the willow. Its branches hung down to the ground and provided a thick curtain behind which she could hide from the world and all it contained. Although she hadn’t killed him yet, she wanted to. Isabelle still held the knife in cold, numb fingers. Still, the only blood that dripped belonged to her. Disgust forced her grip open, and the blade fell. Her mother would miss the carving knife soon. Oh well, jog on dot com—she’d missed that boat. And, at least, it had allowed her to make her escape.